"Los Angeles-turned-New York City residents Phil Torres and Silja Danielsen are truly citizens of the world. While the power couple may be currently based in Williamsburg, you’re just as likely to find them hiking in the Amazonian rainforests, boating on the Norwegian fjords, or running along Nicaraguan beaches. As a biologist and conservationist, Torres goes where science takes him, whether it’s studying bees up close at Elizabeth Garden in SoHo or leading treks in the Peruvian jungles. His fiancé, Danielsen, also travels the globe as a model and ensures the couple is well fed, with her healthy eating digital platform Silja From Scratch. " lesen wir auf duxiana.com über das Powerpaar Phil Torres und Silja Danielsen. 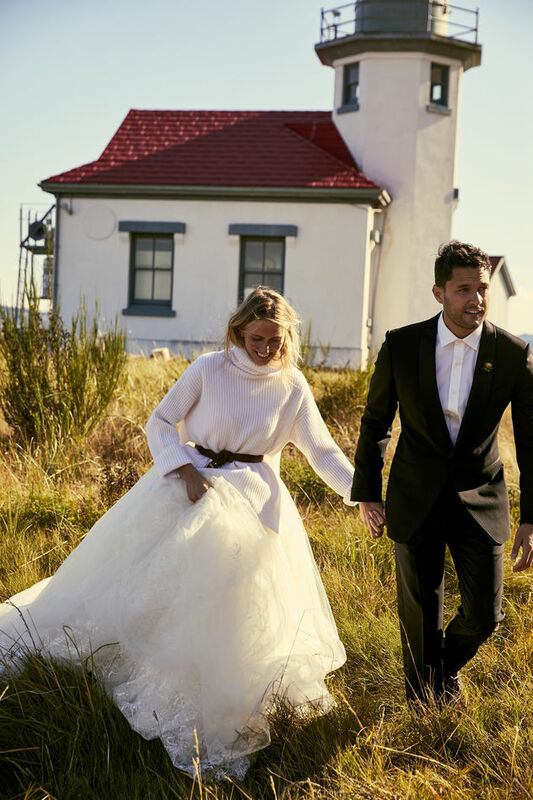 Aktuell freuen wir uns Euch ihre 'Bridal Real Life Couple' Story, fotografiert in Seatllte von Kate MOORE c/o ALYYSA PIZER MANAGEMENT, zeigen zu dürfen.